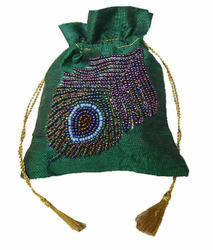 Leading Manufacturer of embroidery coin pouch and beaded coin pouch from Agra. Helped by our unfathomable modern involvement in this field, we are effectively promised in offering a comprehensive assortment of Embroidery Coin Pouch. The offered handbag is sewed utilizing quality guaranteed material that is gotten from affirmed and dependable sellers in the business and contemporary apparatus under the supervision of value experts. This handbag is comprehensively esteemed for its supreme elements and strength by our benefactors. Supporters can purchase this tote at business sector driving rates from us. We offer assortments in women coin pockets in crewel,chain-line with calfskin and we are additionally making elite shoulder sacks, PP packs, paris sacks and portable case with hand-weaving. We offer assortment of extravagant shoulder sacks with hand-weaving on velvet and on silk fabric. Our reach additionally incorporates Leather,suede,cotton,Velvet women shoulder packs. 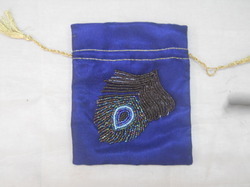 Looking for Embroidered Coin Pouch ?